Well thanks to Jack L. Morrison, 77FA Regt. Assn. We have cleared up the Zamora confusion. Honoring the ultimate sacrifice on Memorial Day: Army soldier’s death leaves family with void that can never be filled ·	Natalie Caula Hauff ·	Posted: Monday, May 27, 2013 12:04 a.m. Twenty-year-old Wilfredo “Cusi” Pantaleon Zamora was more at peace than he’d been in a while. After spending the last four months serving the U.S. Army in Vietnam, he’d finally found a Catholic church. 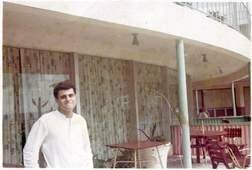 On July 1, 1968, he wrote a letter home to his parents in Miami, Fla. He told them he had just enjoyed a day off when he attended mass and was able to confess and receive communion. It was a shred of normalcy among the chaos of war. At the end of his letter, he sent love and kisses to his mom and dad and to his brother and sisters. Before that letter ever reached them overseas, he was dead. No more running Six years earlier, Zamora and his family were living in Havana, Cuba. Tensions were high as Fidel Castro ousted the country’s leader. He promised reform and improvement but many soon realized the freedoms they would lose if they stayed. It was a trying time for 14-year-old Cusi Zamora and his family. His mother, Bertila, was constantly in a state of worry that her son would be plucked for the military efforts of the Revolution. She and her husband, Fifo, knew they had to get out of there before it was too late. They’d have to leave everything they knew behind and start from scratch in the United States. You weren’t allowed to take anything of value out of the country, even items like clothes hangers, because the soldiers would seize it at the airport. “This is for the efforts of the Revolution,” they’d say. 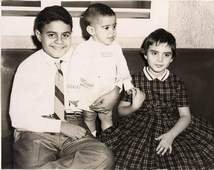 Cusi Zamora (from left), brother Omar and sister Tamara. Cusi was about 12 years old in this photo taken in Havana, Cuba, a few years before his family would have to flee the country. So, Bertila and Fifo came up with a plan. Bertila and the kids would go to the United States in October 1961. Fifo would stay behind for about six months in order to get them the money they would need to survive. He’d transform their assets into items he could sneak past the guards at the airport. So, he bought jewelry. As a shoemaker, he knew exactly where to hide the diamond rings: inside shoe heels. As more family members went to the states, he’d send the valuable shoes with them to Bertila. It was brilliant. Despite their savvy, after Fifo joined the rest of his family in Miami, life was still hard. He began washing dishes. They barely made ends meet. Cusi watched his parents struggle. He was furious as he thought about how they had been forced to leave everything they knew behind. That anger turned into an idealism that shunned the communist governments around the world, including Vietnam. Ultimate sacrifice Around 1965, the U.S. began sending forces to Vietnam for a war that battled the reign of communism. Cusi was ready and willing to go. Bertila was frantic. After all the sacrifices she and Fifo had made to give their children a better life, she couldn’t bear the possibility of losing him to a war against communism. But that was exactly why he wanted to fight. He told his mother: “We had to escape our country. I’m not escaping this country.” He was tired of running. By March 12, 1968, Cusi was in the Army headed to Vietnam. He was stationed in Dau Tieng, a base camp about 40 miles Northwest of Saigon, in South Vietnam. 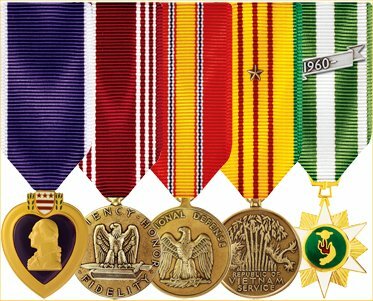 He worked as a cook there and was just a few weeks shy of his 21st birthday when Cusi’s camp came under heavy attack by the Viet Cong. 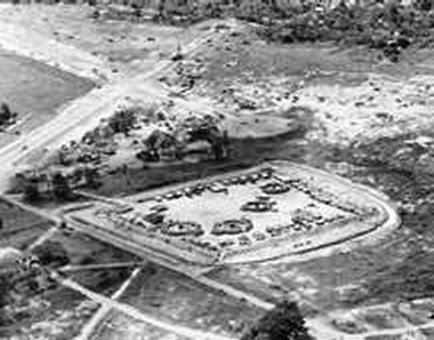 It was the early morning hours of the Fourth of July in 1968 when Army soldiers defended the west side of the camp as more than 400 rocket and mortar rounds were fired into the base. Nearly 10,000 miles away, Bertila and her family had visited Miami beach to celebrate the Fourth of July. But the heat had become unbearable, so they packed up to go home. 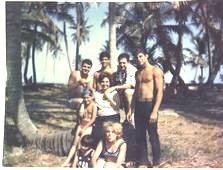 Cusi Zamora (left) is pictured with his mother, Bertila (middle), his father, Fifo, younger brother Omar (left), sister Tamara (bottom right) and sister Vilma (bottom left) at Miami Beach Cusi Zamora, 20, shortly before he left for Vietnam while living in Miami, Fla As she unpacked the beach gear at their house, she turned the radio on. “The first thing I heard was the attack on his base, Dau Tieng. I’ll never forget that name,” she said. Fifo tried to reassure her by telling her that Cusi spent his time in the kitchen, not the battlefield. But doubt loomed over her and she soon became panicked. She knew she had to call the Army. But she didn’t speak English. So, in a helpless state, she had her 16-year-old daughter, Tamara, who had already picked up English at school, make the calls. But she still couldn’t get any answers. It was 1968. Information wasn’t instant. All the Army could tell them was to wait it out. Bertila couldn’t sleep and she lay in bed most of the night staring at the ceiling, thinking the worst. As dawn broke, she got up and walked down the hallway toward the kitchen. She kissed a photograph of her son that hung on the wall, a habit she’d formed while he was away. This time, as she kissed the photo, an overwhelming realization came to her. “I knew he was gone,” Bertila said. A few hours later, at 8 a.m., a black car pulled into the driveway. Two men dressed in uniform approached the door. But she already knew what they were going to tell her. As the men explained the attack on the base, Bertila clutched the photo of her son and began sobbing. “I was crazy. I was crazy. At that moment, I couldn’t realize what I was saying or doing. That’s when our suffering began,” she said. Even now, at 94, her suffering has never really ended. She’s lived a good life with love and family, but the death of her first son created a void that has never been filled. Every Memorial Day, Fourth of July, and his birthday, it’s harder to hide her grief. I’d seen the sadness in her eyes. I never got to meet my uncle Cusi, but on days like this one, I remember his patriotic sacrifice for a country that gave our family a chance at a new life, one that I cherish every day. Although I never met W.P. Zamora, I went to elementary school with his younger brother, Omar. I will never forget the pain and sadness etched on his mother's face the first time I met Mrs. Zamora. Omar apologetically explained to me that his brother had been killed in Vietnam and since receiving the news his mother had never been the same. At that moment, at the age of eight, the impact of the war became a reality with far-reaching casualties (not only distant visual images on the evening news.) I will never forget that woman's pain. It has been over 30 years and I still think about the day the war came home to Miami and changed us all.